Chinese multinational IT and electronics company Lenovo is known around the world for its nifty laptops. What the company is not so well known for is its smartphones. Yes, you read that right, not only does Lenovo make smartphones, it makes them pretty great too. The company is all set to announce its latest smartphone, the A660. 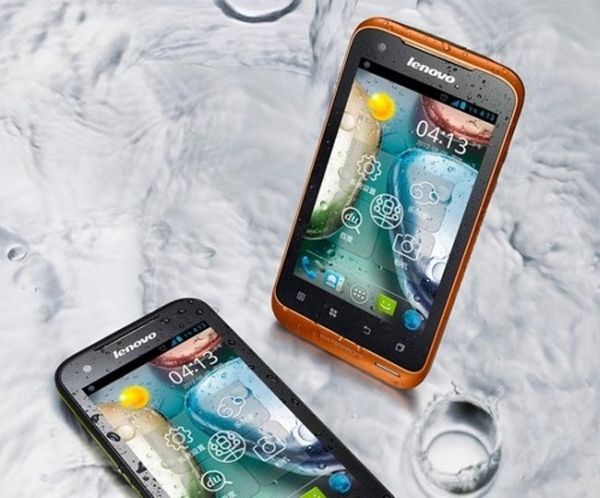 The Android 4.0 Ice Cream Sandwich offering comes with twin SIM card slots, a handy 800 x 480 p 4 inch display and other smartphone essentials like a 5MP rear-facing camera and a 0.3MP front facing camera. The phone is powered by a 1 GHz dual core processor which allows it to run a number of android apps smoothly. But what makes this device truly remarkable is the fact that it is totally dust-proof AND completely water-proof as well! That, of course means that you can continue using the phone while you’re in the shower, in a hot tub, by the pool or even when you’re hanging out on the beach. On the downside, the Lenovo A660 is slightly chunky at 10.5mm thick but then again that’s totally forgivable for a phone that allows you to carry on a conversation while you’re walking in the rain and doesn’t clog up with dust after 3-4 months of usage. For anyone who finds themselves coveting the device, the sad news remains that the phone might not be available outside China for now though you should definitely look out for later versions of the model being launched in international markets soon enough. Where to buy cheap cell phones?